Anyone in the business knows what a bun fight of launches the Tax Free World Association exhibition in Cannes can be… getting noticed takes creativity and cunningness in abundance. To ensure Grant’s became the talk of the week, we needed an explosive event for the new range from Grant’s. And we delivered, quite literally. 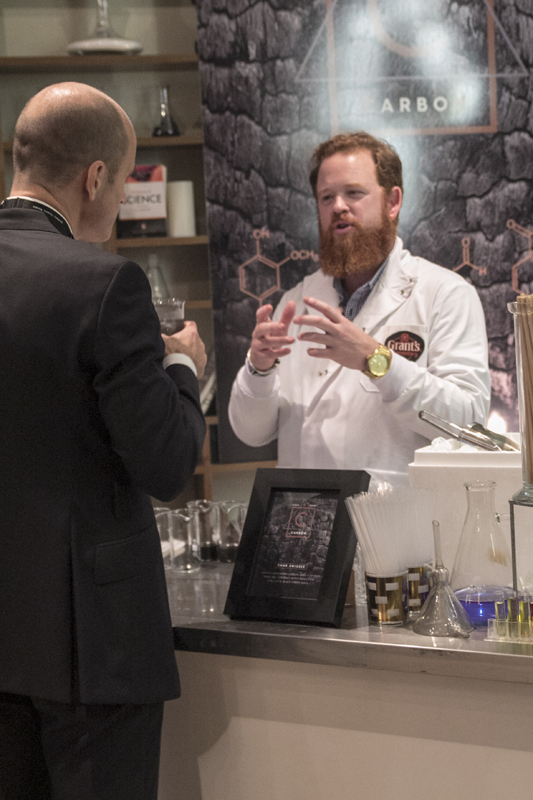 More than a 100 key influencers saw the thinking behind the whisky range’s variants – carbon, oxygen, copper – brought to life with highly engaging scientific demonstrations and delicious cocktails created by the world famous Bramble Bar. And it all began with sending guests a small piece of Cu2(OH)2(CO3) (malachite to the layman).